New Hyde Park, NY – Dental365 is expanding outreach to businesses based in New York City and Long Island to provide dental services to their employees across the area. The company has added a Business to Business team to work directly with Key Business Decision Makers and HR/Benefits Administrators to build a customized plan giving their employees exclusive access to dental benefit packages that can be used at any Dental365 location across the New York metro area. Dental365 will have 25 locations throughout the region this fall and continues to grow at a rapid pace, allowing businesses to recommend high-quality dental care, with the most modern technology and amenities in dentistry to their staff, regardless of where their employees work or live in the region. Even small companies that do not offer dental coverage, but would like to provide some dental benefits can participate by offering employees discounted rates on the In-Office Membership that allows patients to have 2 cleanings, 2 exams, and x-rays each year along with discounts on a variety of other services. Dental365 has been working with businesses such as Winthrop Hospital and GEICO to offer customized benefits packages, discounts and exclusive offers for their employees with great success. 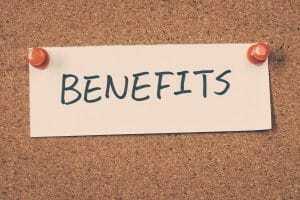 The Benefits Administrators have been pleased to offer their employees with added benefits and employees have been pleased with the recommendations, services and offers. Dental365 encourages business owners or benefits administrators to reach out to the Business to Business team to customize dental benefits packages and offers for their employees. Discover how Dental365 can contribute to a healthier workplace.